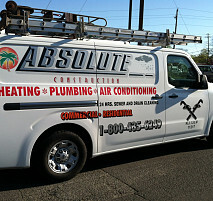 At A-Absolute, we've been your neighborhood plumbing, heating, air conditioning and sewer & drain specialists for both residential and commercial customers in New Jersey for many years. We provide expert repair service and installations throughout New Jersey with a commitment to quality and customer service. 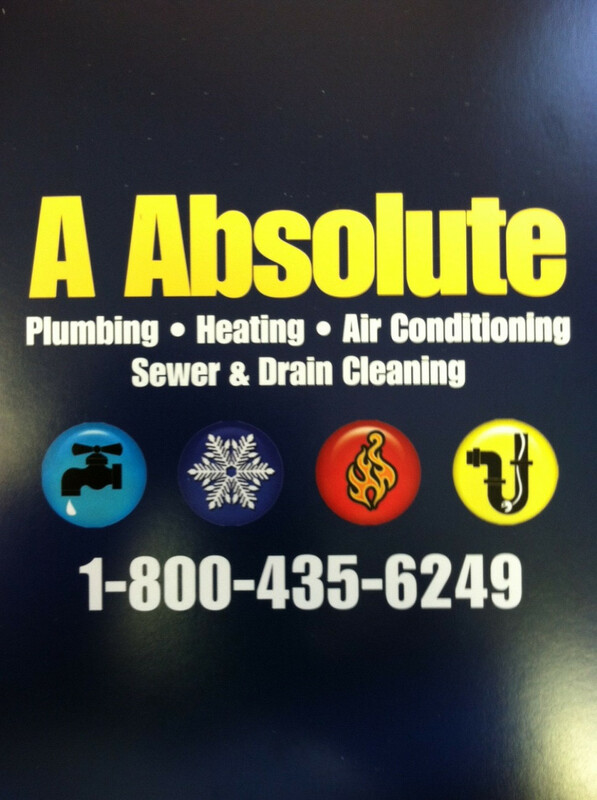 You can count on A-Absolute to deliver a wide-range of plumbing, home heating and cooling solutions with personalized customer service at reasonable rates. Comments: on my call -for a very expirients Plomber-the nead was describet by me-came a gentlemen -who tried to clean the floor -were the water comes out outside -of the HOUSE -it did not work!! Next morning CAME another worker-he was REAde and told me-as he NEEDS TO MAKE A Hall in the silling of the GRand ROOM -and that is the only way to sea how the water get there!! I pad $293,22-the respectful com.did send workers -they did not fixet the problem -and the did not want to sea the Boock -of the Shower-were it is halpful diskription -and i am steal with the problem !! Comments: Overpriced. Damaged floor tiles, and drain refuse all over walls and floor and laundry appliances. Drop cloths would have protected everything. Comments: I made an appointment but the plumber never showed nor called back to reschedule. Very disappointed in the Home Advisor recommendation of this company. Comments: Marcus was polite, honest, & very punctual for appt. & solved my problem. If I have anymore issues will not hesitate to call Absolute ! Comments: soft spoken, smart, has know how and wants to get the job done fast. Comments: They walked me through the process, were honest, and did a great job! Will definitely use them again! Comments: Mr.Ortega represents your company very well he was here on time did an excellent job and was very pleasant in conversation I would highly recommend your company to anyone looking for a plumbing problem thank you very much. Work Description: Fixing a leak in tub, removing dishwasher and removing a block in tub. Comments: Knowledgable, experienced and efficient. They wasted no time answering questions and getting the job done effectively. I would refer them to all friends and family. Comments: I can't review yet because they are getting permits from my town. But so far, the guys who came were so knowledgeable, courteous, and clear about the project that I think it is going to be great. Judging by the three people I have talked to, I expect this project to be "A" level. Ask me again in a few weeks. 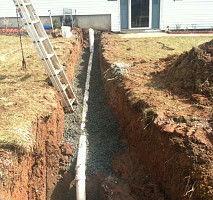 Work Description: Installed proper plumbing for relocation of washer and dryer to basement. Work Description: Had a new countertop installed in my kitchen, just needed someone to reconnect the faucets and the drain hose of the dishwasher, it was a simple job but it cost me over $300. Work Description: Connect the cold water to the refrigerator that has an ice maker. Comments: Shawn arrived early, spoke to me about what needed to be done and how much time he would need. He completed the hook up in less time than we thought. I'll call them again when I need a consultation for my next home repair. Work Description: We need to increase the water pressure in the shower and every where in the house. The plumber replaced the shower head with my old shower head and advised me to call my town to increase the water pressure. He also told me to buy new shower head. The town's engineer told me that the water pressure is the same for the whole town, it cannot be increased just for me. Comments: The plumber tried to solve the problem but the water pressure is still not solved. Work Description: Issues with my toilet that needed to be fixed. The issue was fixed by one of their techs but I kept hearing a noise as if the toilet was still flushing every now and then. Comments: I recently had a horrible experience with Absolute plumbing. The person who answers the phone, (Mike) does not know how to handle customers. I had a plumbing issue that needed to be fixed after their technician came to my house. I had to call for 2 days in order to get someone to come check it out. When I called and spoke to Mike, they did not have me in the system. After getting fed up with the lack of professionalism I decided to reach out to someone else to help me. I then get a call asking me AGAIN what the issue was. I just told Mike to forget about it. I will NEVER use Absolute again. The prices are outrageous and the service sucked. Get someone new to answer the phones!!! Comments: Had an appointment for an estimate installation of a Mitsubishi A/C for 5:30 pm on Wednesday, at 6:30 when no one showed up, I called the company and a girl said they were running late. Waited till 7:30, called again , got the same answer. That evening nobody showed up and never even called to cancel or apologize. Work Description: Bathroom sink clog. Comments: Price seems high for 40 min.of work. Faucet not quite flush with wall like it used to be. Was puntual( with a few minutes to spare. Nice man. Comments: so far, very good. Kept me informed with telephone calls. Came when the said they would. Need to come back Monday the 18th with part they had to get. Work Description: Fixed 2 inch broken pipe in basement that goes to sink. Work Description: Smell in house had to locate odor. Found cheater vent was causing odor. Work Description: He completed removing the razor head from the trap, Replaced the pipe underneath, put in a new sink stopper, and tightened the up and down latch. Comments: He was fast and neat. He did a beautiful job. Work Description: Replace flange, bolts &wax; ring on toilet. Comments: Very nice explained everything did the work in a fairly quick manner but done very well. Work Description: The valve near my main water shutoff was leaking a lot of water and started to leak onto the basement floor. Comments: Absolute Plumbing Heating came out that very night and Nick fixed it perfectly. I was very pleased by his knowledge, friendliness and work. 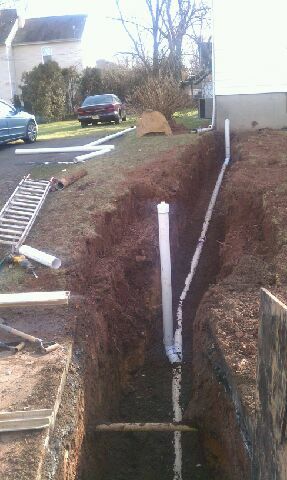 I will call Absoulte Plumbing again and ask for Nick to fix other plumbing issues that I have been holding off. Comments: Hot water went out just before a dinner party. They came in and did the job quickly and efficiently for weekday prices. Comments: Highly recommend this company! Excellent quality, service and punctuality! Work Description: Opened ceiling and repaired broken heat pipe. Work Description: Slow draining water in toilet and tub. Comments: Called A-Absolute on a Sunday. Within 2 hours Steve was on the job trying to determine where the actual clog was located. After two hours he was able to clear and clean the source of the problem. His effort, skill and assurance demonstrated, has made me feel confident that the job was a success and that the water will continue to flow for a very long time! Work Description: Changed out a Kohler shower cartridge. Work Description: replacing parts for my heating unit: water pressure valve, expansion tank, a water flow preventer, etc, plus bleeding all 5 of my heating zones. Comments: The tech's name is Steve. He was very informative in explaining things to me and did a great job. I was very satisfied with his work and demeanor. 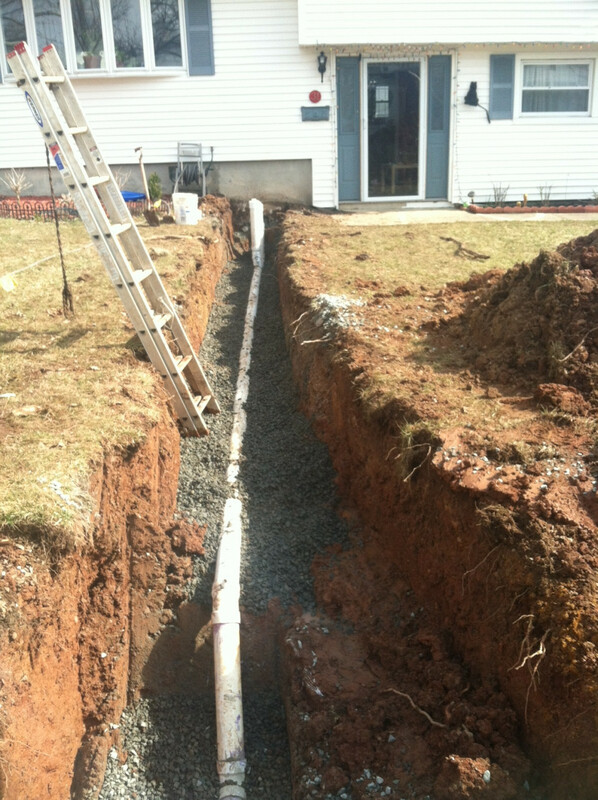 Work Description: Replaced sewer main from house to street. Work Description: Opened wall and had to replace trip waste. Comments: Mike diagnosed problem and did a great job. Would highly recommend. Plan on using again. Work Description: Very competent and excellent workmanship. Comments: My only disappointment was that the original water heater was not the best fit. However, after finding a better they simply took the first one back and replaced it with the better fit one. The original one was out of the box already, but there was no hesitation in making the change. Great customer service and satisfation. Comments: Do nout use them. They don' t know anything about plumbing and what is needed in the first place in order to do a job. They will ask you for a deposit based on their incompetent recommendation and will refuse to refund the money when they say they will. Work Description: Replaced 1 1/2 trap under vanity and replaced angel stop. Comments: Very good service by Mike. Quality work. 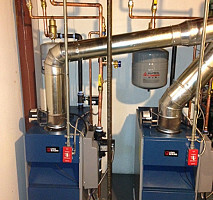 Work Description: Replaced blower motor on furnace. Comments: Very glad to heat back on thanks Mike. Work Description: Toilet was clogged . Comments: Mike cleared our line we are very happy. Work Description: A technician was sent to find out why all of a sudden the upstairs rooms were warm when we turned the temperature down to 65 degrees F. each night and why the upstairs bathroom did not seem to be emitting much heat. Comments: Ryan explained why the upstairs radiators were putting out more heat than ever before when we had the thermostat on only 65 degrees F. He further explained that old, previously clogged pipes can over time start pushing the warm air out and clear any blockages after a new boiler has been installed. We had A-Absolute install a new boiler 2 years ago. They did such an excellent job that we have had no problems with it. Ryan also checked all the radiators and figured out why the bathroom radiator near our bedroom was not giving off much heat. He found that a part needed to be replaced. As soon as he replaced it, heat started pouring through, so my husband is no longer tempted to use a small heater in the bathroom. I can't say enough about Ryan, his professionalism, and knowledge of all things boiler related. He answered all questions with ease and made great suggestions. Thanks, A-Absolute! Work Description: Pipes were hammering. Replaced mixing valve. Comments: Great jod personality was great definitely want mike back. Comments: co st 350.00 willnot use again. Work Description: Installed 2 vents one under sink and one in crawl space. Also mike snake out main line 50 feet. Comments: Mike solved the problem when no one else could. He was very patient excellent work very satisfied. Was on time, professiomal, & did a great job. Work Description: Broken trap under sink. Work Description: Take a look at a home I'm in the process of buying. Comments: When I called I clearly stated what I need to be done. I called 2-3x to make sure I'm getting the correct information. I needed to a plumber take a camera and look at the home's pipes. The call center guy said it will be free, since they will arrive to do an estimate. He said they can look at the pipes with a camera and give us an estimate of what needs to be done. When they arrived they said a video camera would cost $$$. They did not state that over the phone! I would've gone with another company who quoted us a price over the phone. On top of everything they damaged the pipes in the home that we haven't purchased yet!!! NEVER AGAIN with this company. They are liars and scammers. Comments: Our service man, George A did a fantastic job of fixing the leak and snaking the pipe/tube. Very professional and quick in determining what needed to be fix. Work Description: check and repack leaking valve under kitchen sink. Comments: The tech, George, arrived in a timely manner. He was courteous and respectful and did the job in an efficient manner. He even went the extra mile. When he turned on the water faucet and noticed it was loose he took care of it and made me very happy. It was such a kind thing to do and restores my faith in human nature. I also want to highly commend Robert who made the appointment for me and called me regularly the day of the appointment to give me a heads up as to the status of George's arrival. Comments: The plumber did a great job! Work Description: Repaired leak in water main pipe. Comments: Great service, punctual, leak fixed! Comments: Excellent device efficient and effective. Would definitely call again for future device. Work Description: Sump pump replaced. Comments: Very professional. Fixed the problem quickly. Awesome job. Comments: Mike was terrific. Very thorough and went above and beyond to make sure everything was working before he left. I will definitely use them again and will refer friends and fa m I'll. 5 stars in my book. Work Description: Opened my kitchen ceiling over cabinets to locate leak. 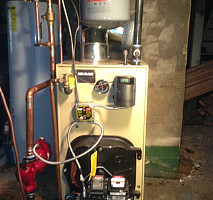 Work Description: Replaced pipes and valve on water heater. Comments: Michael did and excellent job. Comments: After booking the appointment and asking if the technician would have the cord to charge the nest thermostat, I was reassured that the technician would have everything he needed in the van. Upon arrival I was quoted $800 for the thermostat and installation. After explaining I had already purchased the thermostat, the price dropped to $475 for the installation alone. When I asked how long it would take the answer was 1-1.5 hours to install and program. I was then informed that he did not have a cord to charge it and one would be necessary before installing it. I spoke to the supervisor on the phone who dropped the price to $450, which was still completely ridiculous. I told them no thank you. Complete waste of my time! Comments: Highway robbery! Doctors and Lawyers don't make that much on annual basis. Work Description: Replaced a water valve and leaky piping. Comments: The price was incredibly high! I was floored at the price for the amount of time they spent. I don't think Doctor's or Lawyer's get paid that much an hour! Work Description: Replacement of water feed pressure regulator valve for hot water heating system. Comments: After receiving quote, learned that actual price of valve was a small fraction of that quoted. Total job price was exorbitant. Comments: Price was to high. Probably won't use again. Comments: Customer service was excellent, right on time and Mr. SEAN was a true professional. He reviewed the issues and gave a permanent solution to the issue we been facing for past 4 years, every winter after. Personally, I recomned SEAN for his professional and personality. Comments: Even though a little late I loved the professionalism and the work that was done. Work Description: Replace a rotten kitchen Meon faucet. Comments: The technician has good knowledge and very responsible. The Price of the installation is most reasonable. I would use Absolute Pluming again!! Thank you! Comments: Not too professional to treat people, he was angry all the time. 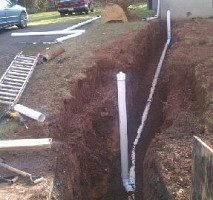 Work Description: Replacement of copper piping for water in entire home. Comments: As before on a previous review they are a very good company and the best employee is Lem who knows what he is doing and explains in very good detail. Their cleanup is also excellent when finished. Work Description: Checked pipes to see if they busted due to extremely cold weather conditions. Comments: To whom it may concern, Networx.com I find on the internet and I'm so glad I did. I was very pleased with their professionalism, courtesy and knowledge that was shown, I will use their services in the future. Work Description: The job was to EXCANGE my kitchen faucet. I have the new faucet already, the man only had to remove the old and put on the new. He charged me $240.75 (30 minut job). Comments: I ask for the discount that the company offer, but Carlos, the repair man told me there is no discount. I called the manager on 01/15/2015 regarding the $25.00 DISCOUNT, they offer and he told me, he will sending the $25.00 to me. It is already 01/27/2015 and I NEVER RECEIVED IT !!! 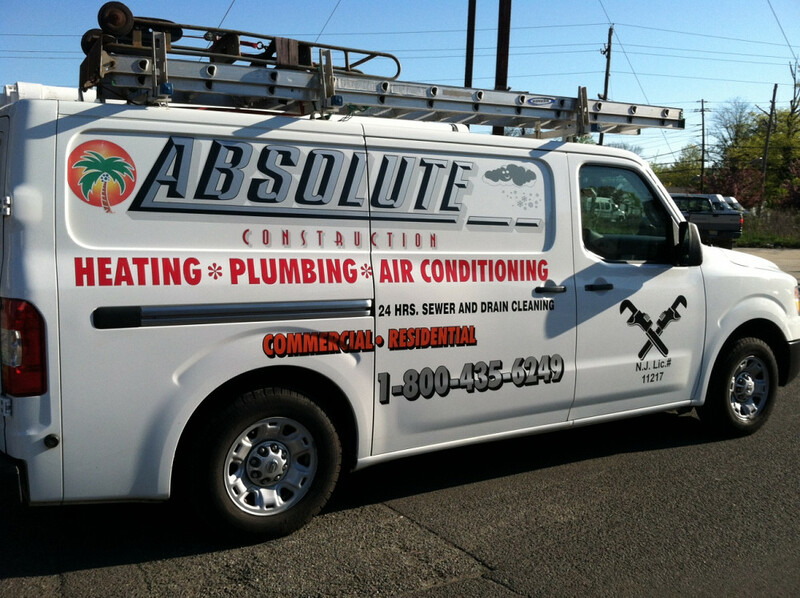 Comments: Although the gentleman who answered the phone was abrupt, I would recommend Absolute. Comments: Absolute came out very quickly after my initial inquiry. The tech handled the issue professionally and quickly without over charging us a crazy amount ! 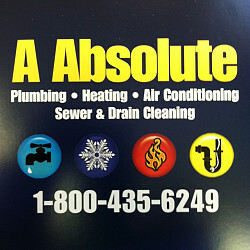 I will recommend Absolute for anyone's plumbing needs. Work Description: Replaced a toilet in the master bathroom. Courteous, professional and had the best price. Called within minutes of the email list that was provided by Networx. Work Description: Replaced major plumbing in bathroom and basement connections and added new fixtures. Comments: Professional, punctual and left our home in amazing order! This company is the first company I have ever dealt with that did what they said they were going to do, and then did it! All within the quoted budget and timeframe! Will not use anyone else but Absolute Construction and Highly, HIGHLY recommend them to anyone who needs plumbing/heating services. Comments: They called me before hand and let me know about what time some one would come. Gave quote and was able to complete the job on the spot. Ray was excellent and he really loves his job. Thanks and I would recommend them to everyone. 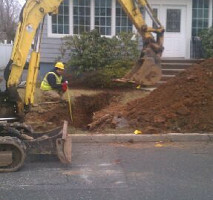 Work Description: sewer blockage sewer cleaned all the way to the street. Comments: service was promt,efficient and professional -Carlos was courteous and very thorough . He answered my questions and I will certainly hire this company again! Work Description: evaluate our problem and determined it was not a leak to be repaired. i was really impressed with thier honest..
Work Description: had to have my water pipes changed. Comments: plumber came in gave me a price...took 20 minutes to complete the job. VERY PROFESSIONAL!!! Work Description: Main Water Break. 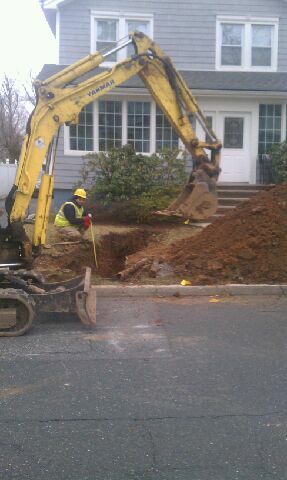 Repair of main water pipe from cut-off valve from street to meter in the home. No insurance involved. Several vendor quotes. Comments: I did not contact this contractor directly because there were only two customer reviews at the time. However, they actually called me through this site and I am glad they did. They were the only contractor who followed up with me, checking on their progress and quality assurance several times along the way, until the job was completed. They were fast, efficient and left very little evidence they completed the job and were even here. As anyone knows, there are several creative ways of completing this type of work, which include breaking up the sidewalk, lawn and driveway, none of which they are obligated to fix afterwards. This contractor choose the path of least damage and completed the work in a single day. They may not have been the lowest quote, but I chose them because of their experience and am extremely happy with the work that was done. I would recommend them to anyone seeking this type of work. Great job! Work Description: Boiler was not igniting or turning on. Comments: The company responded to my email in less than 20 minutes. They had a person to my house the same day. When Dale came he was friendly and fixed the problem right away. I will use this company again and recommend them to family and friends. Work Description: Hot water facet in bathroom unable to be tightened. Comments: Plumber arrived in an hour and in 40 minutes he was done.